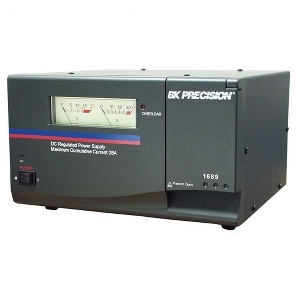 B+K High Current DC Power Supplies are designed for continuous duty and are ideal for substituting car batteries. For servicing/demonstrating high power car stereos, cellular phone products, camcorders and ham radios. Hobbyists, retailers and service shops use car batteries to power mobile equipment. Car batteries are heavy, leak acid, spark, can't tolerate shorted outputs and must be recharged. This Power Supply provides it's maximum current output continuously hour after hour without overheating.